Dr. Nishanth worked as Consultant Endocrinologist at Kerala Institute of Medical Sciences, Trivandrum, (2005-2009), and as Assistant Professor and Consultant Endocrinologist at Sree Gokulam Medical College, Trivandrum (2007-2009). He established his place as Head of Department and Consultant Endocrinologist at Al Zahra Hospital, Sharjah and AZMC, Dubai from 2009 and at BR Medical Suites as a Consultant Endocrinologist from July 2018. 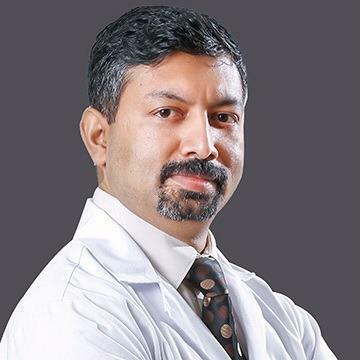 Dr. Nishanth has a Fellowship in Endocrinology, Diabetes and Metabolism (State University of New York, USA), and is a Fellow of American College of Endocrinology (since 2010), American Board certified in Internal Medicine (2003) and in Endocrinology and Diabetes (2005) and recertified in 2014. Dr. Nishanth speaks English, Malayalam, Hindi and Urdu.